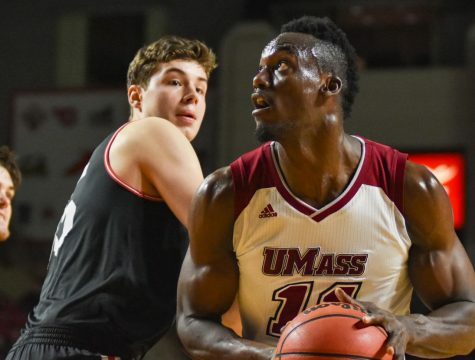 The Massachusetts men’s basketball team’s offense was in full swing once again on Monday night. 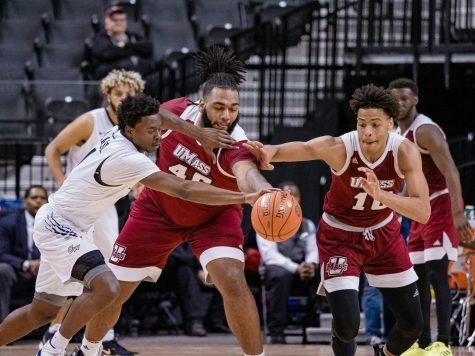 UMass (2-0) sprinted up and down the floor from start to finish despite a plethora of whistles to march its way to an 83-67 win over Northeastern at the Mullins Center. Sophomore Chaz Williams recorded his first double-double in a Minutemen uniform, leading all scorers with 20 points and 10 assists. 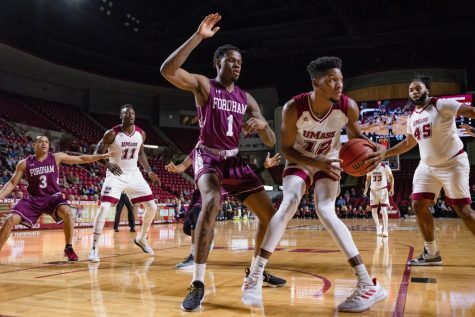 Juniors Terrell Vinson and Sampson Carter chipped in with 14 and 12 respectively as part of UMass’ second consecutive 80-point scoring outburst to start the season. Early on it was all Minutemen, jumping out to a 17-4 lead in the first eight minutes of play. 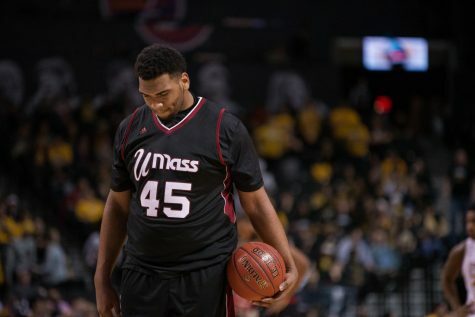 Northeastern (1-1) could not handle UMass’ full-court pressure and harassing ball pressure, leading to four Huskies turnovers in that span. 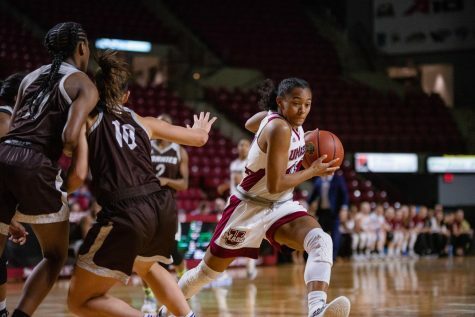 Williams explained after the game that starting fast has been a point of emphasis for the Minutemen this season as they start to play better competition. 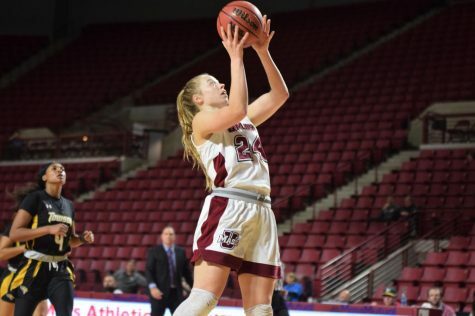 “Once we start playing better teams and once we get into conference play … [those] leads can be kept so we’re just trying to come out and trying to take the early punch in the face and just be ready for whatever,” said Williams. The margin was cut to six with 9:41 remaining in the game, as the Huskies ran off a 13-2 run over a three-minute period. That was as close as it got, however, as the Minutemen countered with a 14-4 run of their own to push the lead to 14 with 6:07 to play. 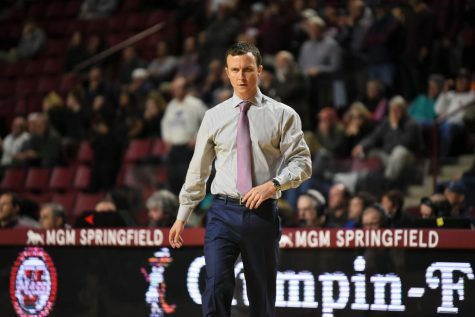 UMass coach Derek Kellogg knew his team needed to come up big at that point in the game to avoid a letdown. 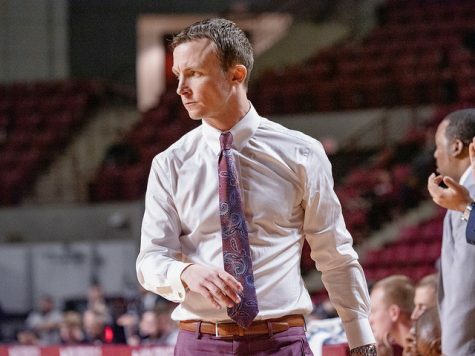 “I could feel the game was … getting to the point where we needed to make some plays and I thought we made a few good plays to give us a little bit of a cushion at the point,” said Kellogg. With the teams combining for 53 totals fouls, the game lacked the flow that the Minutemen are accustomed to. 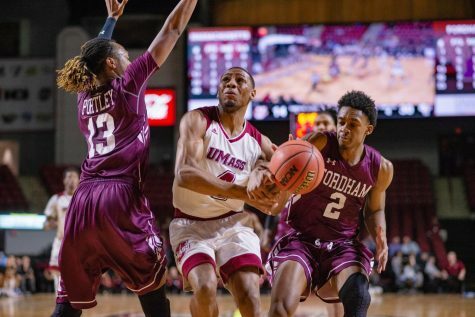 Carter said that all the free throws kept UMass from getting out in transition, which it found great success with all night long. 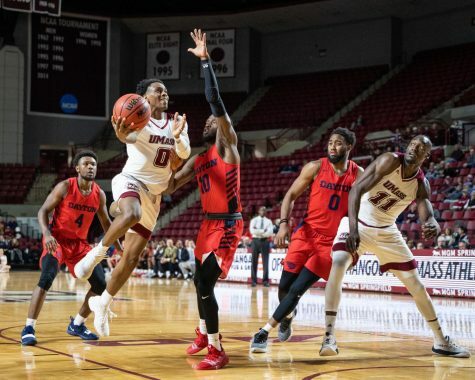 With sophomore Raphiael Putney inactive with a concussion, the Minutemen shuffled in nine players for the greater part of the game, which Carter explained is a crucial component to the team’s recent success. “I think when more guys come off the bench and give a little bit more, then it makes everybody else’s job a little bit easier,” said Carter.